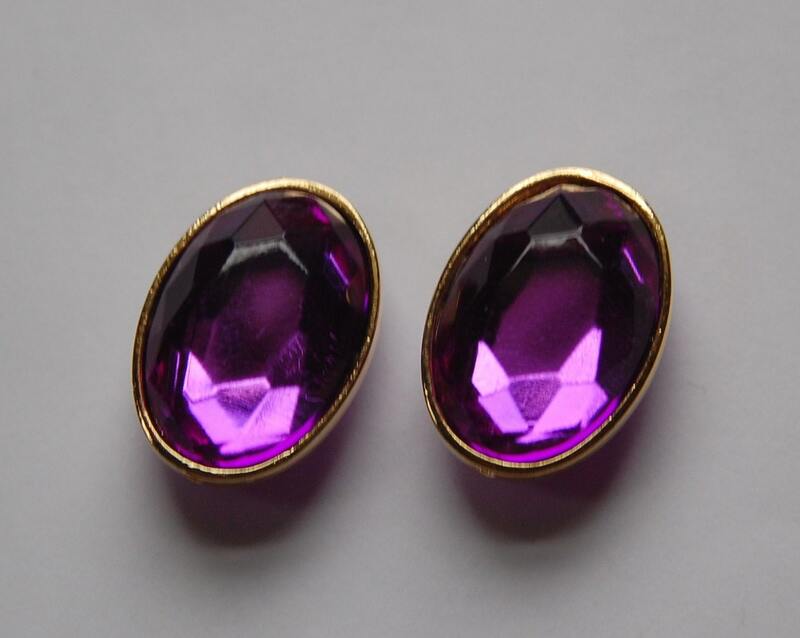 These are very nice quality vintage plastic/lucite faceted stones. 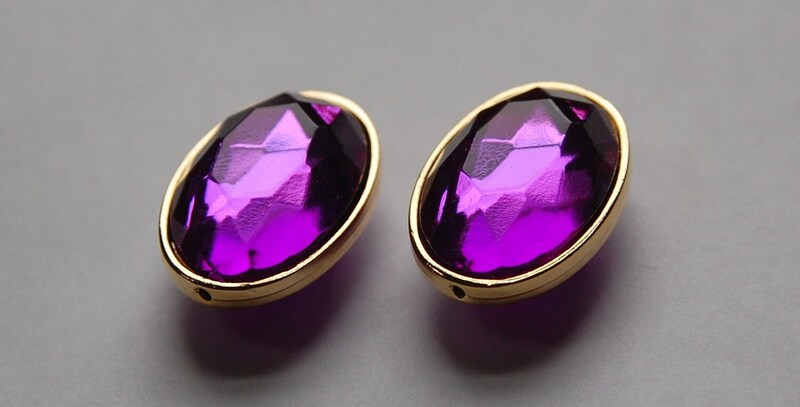 They have a pleasant weight that will make you check twice to be sure they are not glass :) These are purple colored ovals that have a gold banding around them. The beading hole runs the long way through the bead. The gems are on both sides of the bead. These were made in Japan. They measure 27mm x 19mm. You will receive 2 of these.